There is a saying in the rooms of Alcoholics Anonymous, that ‘you must act your way into right thinking and not think your way into right acting.’ It’s one of those things that is usually said off the cuff and I know that for a long time I never really paid attention to it or heeded its wisdom. Whenever I heard it, I would think, that sounds wise but what does that even mean? 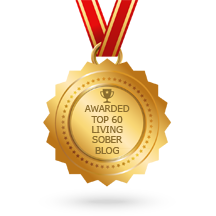 However, the longer that I stayed sober and began to reflect more on my life I started to realize just how important that saying is. I started to realize that for the most part, throughout my entire life, I had attempted to think my way into right acting. I would sit around and play mental gymnastics with myself attempting to overcome my alcoholism, but I would never take any action towards change. I would wake up in the morning and say to myself I am not going to drink today and repeat it over and over to myself, and you know what, by late afternoon I was drunk or high. The reason that this happened is because, as the saying goes, I was attempting to think my way into change, rather than vice versa. I would go about my day taking all the same actions, changing nothing, and then attempt to bend my mind into a new thought process that would result in a different outcome. Yet, I was never able to do this. I was never in all of the time that I drank and used drugs able to think my way out of my alcoholism. I could struggle for a little while, maybe even hold out for extended periods of time, but in the end no real change occurred and I would invariably wind up drunk. This went on for years, until I was ready to try something different, until I was ready to actually take action towards the change I wanted to see, and the thing that is most interesting about this is that I didn’t even believe in the things I was doing when I first started. When I first came down to South Florida for treatment I knew that I didn’t want to drink or use drugs any longer. I was willing to try a geographical change in my sobriety I had tried a geographical cure while using and that always ended badly. I knew that if I continued to do the things I was doing, I would wind up dead within the next year, or even worse I would have a long and miserable life of substance abuse. I knew that something had to change and since I had been introduced to the 12 Steps years before, I had an idea that there was at least some hope. But at the same time I didn’t really trust that the Steps would work for me. I knew that they had worked for others, but I just couldn’t understand how doing these 12 things would change my life. I have heard a lot of other people express this same sentiment and in hindsight and after having worked the Steps, it makes sense to me. It makes sense that I didn’t believe the Steps would work until after they worked and that is because change, especially in regards to alcoholism and addiction, is an experiential thing. It is not something that can really be explained, it something that must be acted on. Or at least that is my experience. I found that as I put one foot in front of the other, even though I didn’t really believe that doing a 3rd Step or a 5th Step was going to change my life, my thinking began to change. I started to not worry as much about the future or beat myself as much about my past and this all seemed to happen on it’s own because of the actions I was taking. I remember when I first started praying again, after years of not doing it. I felt almost foolish, like I was just talking to my mattress, but I continued to pray day in and day out because that’s what I was told to do. I’d wake up in the morning and ask for help and before I went to bed I’d say thank you. It was really simple and even though I didn’t believe that some divine being was actually listening to me, after a few weeks of doing that I started to feel differently. I didn’t have as much despair in me, and my thinking started to shift. It was a strange experience because I wasn’t expecting it. I don’t know really what I thought was going to happen, but I didn’t think that I would start to feel better from such a simple action. Yet time and time again by simply taking action, even when I didn’t believe in the action, my life would begin to change and problems and issues that I spent years contemplating were upended in a matter of months. I say all of this and give these examples just to illustrate the point that taking action, regardless of whether you believe it will work, is enough to enact real change in your life. You don’t need to fully understand the Steps in order for them to remove your obsession to drink and use drugs; you just need to work them. Put aside your preconceived notions and follow the directions that are given to you and you will find that your life changes right before your very eyes. The person that you were a month ago or 6 months ago will seem like a bad dream, and while you will still be able to remember the thought processes you had, you will no longer be able to relate to them. They will seem absurd, because they were, and this can all come about by just taking action in order to start the difficult process of change. Rose Lockinger is passionate member of the recovery community. 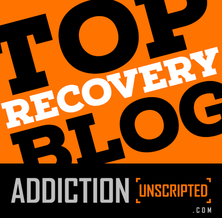 A rebel who found her cause, she uses blogging and social media to raise the awareness about the disease of addiction. She has visited all over North and South America. Single mom to two beautiful children she has learned parenting is without a doubt the most rewarding job in the world. When I had cbt for my OCD I was taught to change the behaviour and the thoughts/feelings will follow. It seemed an unlikely theory, to me at first but I found it was true and now I’m trying to use the same process with sobriety. Good job! Keep it up! Hugs.